Burmese student activist Soe Myint had practiced the hijack many times. But when the real day came to brandish a fake bomb and force open the door at the front of the plane, he found he had burst not into the cockpit, but the toilet. 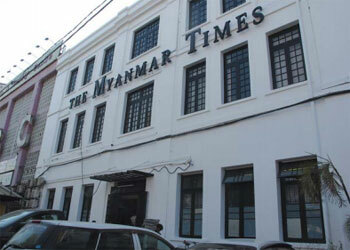 PRESSING FREEDOM: Editor-in-chief Ross Dunkley (above) of the Myanmar Times weekly survived the military junta, and with media reforms, his paper is now poised for growth with new investors and is turning into a daily. Today, 24 years later, Soe Myint laughs heartily at the goof-up as he drives us through leafy streets to the office of the Mizzima magazine that he edits. It was 1990, the Burmese junta had launched a brutal crackdown on students who had led the street uprising in Rangoon two years previously. Soe Myint fled to Bangkok, but was appalled that the world wasn’t paying attention. As a result, some students decided to carry out a “peaceful hijack” of a Thai International flight from Bangkok to Rangoon and take it to Calcutta with 220 passengers. “I have no regrets,” says Soe Myint, “we didn’t use guns or bombs and no one was hurt.” The Burmese students got support from Indian politicians like George Fernandes to set up Mizzima, a Burmese news service in exile. In 2003, Soe Myint and other hijackers were acquitted by an Indian court. 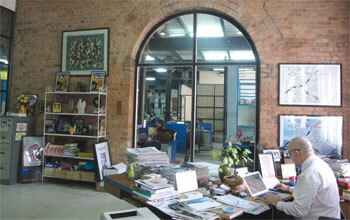 Soe Myint is now back in Rangoon as editor of Mizzima, proof of just how fast Burma has changed in the last two years. Among his partners are businessmen close to the same military junta that once hunted down democracy activists. Mizzima now has a strong business and development focus, and while still supporting political reforms, takes the line that political stability matters more than democracy in order to attract foreign investors to Burma. Potential investors are arriving by the planeloads to cash in on the opportunities that have opened up after four decades of isolation, to exploit Burma’s huge mineral and petroleum wealth, its mobile penetration rate of less than 2 per cent, and the country’s enormous tourism potential. There is also geopolitics - strategically located Burma is leaning more towards ASEAN and the West to limit the overwhelming past Chinese influence over the economy and politics. For western donors and NGOs, Burma is the flavour of the month. After nearly 50 years of being banned, private media has exploded with new newspapers and online sites. Burma has risen six places to rank 145th in the 2014 Reporters Without Borders press freedom index, ahead of Malaysia and Singapore. “We used to have lots of don’ts but now we have lots of do’s,” says U Kyaw Yin Hlaing of the Burma Peace Centre, “the question is how will the media use that freedom. Where will the responsibility lie?” There are worries that unbridled freedom will hurt ongoing efforts to forge peace with ethnic separatists in the north and east who have been fighting the Burmese state now for more than half a century. Recent arrests of reporters who exposed a chemical weapons factory, and intimidation of journalists, show that press freedom in Burma still comes with strings attached. Time’s Hannah Beech was refused a visa to attend the media conference after writing a cover story with a picture of radical Buddhist monk Wiratha that was straplined, ‘The Face of Buddhist Terror’. The Burmese media itself has also been criticised for muted coverage of the organised killings of Muslim Rohingya people in Rakhine state, or carrying openly racist content supporting the government’s insistence that the Rohingya register as ‘Bengali’ in this week’s controversial census, the first in 30 years. Even Suu Kyi has refused to condemn the anti-Muslim policies of the state outright so as not to spoil her chances ahead of next year’s presidential elections. Burma’s military constitution has a clause that bars presidential candidates with foreign spouses and children, which was written specifically to exclude her. The constitution also ensures that the military retains its dominant role by allocating 25 per cent of seats in parliament for officers appointed by the army chief. Suu Kyi’s National League for Democracy (NLD) is pushing to amend the constitution, while the ruling Union Solidarity and Development Party (USDP) has launched a signature campaign against the amendment. The military has also won the support of the radical Buddhist clergy led by Wirathu, and many here believe that the USDP is mixing religion and politics for electoral advantage. Suu Kyi, even though still reverently called ‘The Lady’, isn’t as vocal in supporting Rohingya rights as she may want to be. The only hope for Burma may be that there is so much money to be made here that the transition will inevitably lead to political stability and reconciliation.